That people pick up socialist literature, even after such a decisive victory of capitalism, shouldn’t come as a surprise. Collectivist socialism always appeared as the more compassionate of the two, and socialist literature covers a long array of pertinent matters, such as “The origin of the family, private property and the state (Engels, 1884), “Their morals and ours” (Trotsky, 1938), “Why socialism?” (Albert Einstein, 1949), “On the correct handling of contradictions among the people” (Mao, 1957), “Pedagogy of the oppressed” (Paulo Freire, 1968), and “How the world works” (Noam Chomsky, 2011) to name very few. Surely, one feels a bit less isolated when leafing through sociable stuff like that rather than having “The virtue of selfishness: a new concept of egoism” by liberalist capitalist thinker Ayn Rand (1961) lying on the bedside table. Capital by Karl Marx (1867) is the bible of socialists mainly due to its incisive inquiry into capitalism’s exploitation of labor. Marx’s examination of economic exploitation was a first, it was academically detailed, and it screamed “Injustice!”. Moreover, his obvious sensitivity and sympathy, with a proletariat so badly ranked in life’s race for emancipation and progress, are rare in the fields of philosophy and science, perhaps matched only by that of Jesus Christ. The writings of Marx clearly resonate with the sentiments of many who long for a society wedded to basic ethics and human values. In terms of practical application, however, Marx is on very thin ice. The main reason why he turns out to be so unrealistic is precisely that he analyses everything considering what he sees as capitalism’s exploitation of labor. Instead of coming up with something new and practical, Marx keeps staring at capitalism’s ill deeds so that his analyses get locked up in the class struggle of capitalism vs. the Proletariat and never get out of there. “All communist states, including the Soviet Union, China and Vietnam, have rejected Marx's theory of exploitation. According to these countries, the creation of surplus value in the economy is an indispensable part of national prosperity. In repudiation of Marxist ideas, profit is not considered exploitation. If Marx made the first attempt to analyse and define exploitation, then it must be said that his work is not free from defects. This is because Marx tried to interpret exploitation only from the economic point of view. Because Marx labors in such isolation from the realities of a practical future for living beings, he soon stumbles into very real ideological quicksand. Probably to save the working class from exploitation forever, he envisages a paradise-like society where all are equal. This state of fancy stands in stark contrast with the reality we live in where everything is different. His main socio-economic principle, “From each according to his ability, to each according to his needs,”5 turned out to be a disastrous formula whose death sentence not only all communist states but any modern socio-democratic welfare state would readily sign. Similarly, his principle that property should be owned by the state violated the natural feeling of all those farmers and ordinary people who prefer to own their home and control their basis of existence. Marx’s approach to doing away with the ills of capitalism is twofold: The tearing down of the old by way of analyses leading to revolution, and the establishment of a new order. Such exemplary matter-of-fact methodology are always good news for the revolutionary-minded. But there is a problem in this case: Marx’s new order isn’t based on anything that exists in the practical world of human realities. Instead, he draws the course of our collective future based on a reinterpreted history that never really existed. The Marxist concept of history supports the theory of class struggle and everything else in Marxism that concerns economic exploitation, but it is not realistic. According to it, the world history from our mythological past till today has centered on ownership of the means of production. Modern capitalism, on the other hand, rules by force of the legacy of all kinds of preceding establishments – military, social, political, academic, cultural, spiritual, etc. The spirit of modern capitalism is that everything, not only the means of production, are means of profits. The capitalism that we see today is the practical outcome of customs and systems of trade and commerce that evolved out of humanity’s hoary past into what they are today, and their applications are in no way limited to means of production. Unless you conceive of a sport event and a dance competition as a means of production, that is, and of course today you may do just that. To take an even more extreme example: Today’s real economy, related to actual production of physical goods and services, is many times smaller than the colossal unreal economy that is in part about speculation about the means of production and their outcome. Today, keeping your money in the bank or owning a factory may not be such a good idea if your aim is to make big money. Instead you would embrace casino capitalism and build your fortune by pure gambling. Both materialist socialism and individualist capitalism suffer from this existential misconception, each in their own way. Materialist socialism postulates that equal material distribution will make a heaven on earth following the socio-economic formula of supply (“ability”) and demand (“need”) mentioned earlier. Individualist capitalism, on the other hand, holds that greed is good for all. Both are deluged to think as they do. At the present stage of capitalism, the economic elite is waging a war of all-out exploitation against all other human skills and values. This is a war no one will win. What the ravenous “one percent” seem to have most forgotten is that what they are running so hard after, is limited. Their thirst for acquisition may be unlimited but the finite riches they are after are not. This fundamental incongruity – between the unquenchable thirst of all human beings and the limitedness of all things – means that capitalism, like Marxism, is heading for a final collision with reality resulting in its own destruction. The main difference between Capitalism and Marxism in this regard is the time it takes for them to reach their dreadful destinations. Due to its cruder dogmatism, material socialism isn’t flexible enough to adjust with the realities of the world. Therefore, it quickly conflicts with the needs for human existence and dies out. Capitalism is a far more flexible and subtle system centering on individual freedom and enjoyment. Liberalist capitalism is quite open to any avenue of manipulative exploitation, and being most permissive (while cultivating economic centralization) is by far the more long-lived of the two. The communism of Marxism simply existed within the Alpha and Omega of capitalism, and such a miserable antagonistic existence only strengthened the hand of its mighty, cleverer, ever-exploitative opponent. But a date is stamped upon capitalism, too. That day will come when the continuously diminishing returns of its exploitation will undercut any individual and collective will to finance it further. Prospects of fresh investments rapidly evaporating will reduce socio-economic dynamics to something we may term as “minus zero” – dynamics at that time will not just be null but distinctly negative. Calculations to determine that point in time will take place in two dimensions: on Excel sheets, and in the minds of capitalists consumed by greed. When greed will prevail over any remaining good sense all bad things will take place. In fact, they may already have started to do so. Today, many wonder whether capitalism has already turned fascist in similar ways. Due to their logical fault lines, capitalism and communism are systems open to severe misuse and abuse, both being subjected to severely twisted socio-economic thinking. Modern socio-economics must encompass all of existence – physical, mental and spiritual – to be realistic. It must be inclusive of all avenues of progress to be properly productive in both short and long terms. If it also aims to outlive the time and era in which it was brought forth, the ideology needs to harness every human potentiality and adjust the utilizations of them over time, from place to place, from one person to another and from one society to another. “About 150 years ago Karl Marx observed that there was social disparity and exploitation in society. He believed that social injustice was caused by differences in income, so he thought that if there was no individual income and people lived in the commune system, and the government provided food and clothing to the people, then there would be no injustice. But has the commune system solved the socio-economic problems of communist countries? “… Today the applied theory of the commune system has reached a deadlock. The theory has entered a stage of hysteric convulsion. Communists have now lost all logic and reason – they have become hysterical and are simply shouting, hoping people will follow them out of fear. There must be flexibility of intellect in order to follow the path of logic. If this fundamental flexibility is lacking then shouting will dominate logic. “In every field today – including science, religion, social life, etc. – flexibility has been lost. In science, Dalton’s atomic theory is already out of date. In some fields new theories have taken over, and in other fields change is now taking place. In chemistry for example, if chemists procure and perform tests on the same salts from two different companies, the results will often differ. Somewhere in these experiments there is a chord of difference or contradiction. This is because there is a difference in the number of microvita in the salts from the two companies. So this microvita theory will adjust science with time and space. “While change is a natural phenomenon, attraction is also a law of nature. There is attraction between each and every object and between each and every person. This is natural. If a man who is lost in the jungle at night suddenly sees a torch light, he will approach the person holding the light without considering whether he is a thief or a murderer. Similarly, the man holding the torch light will not question the character of the lost person. Rather he will feel it is his duty to guide him to safety. This illustrates the mutual attraction amongst human beings. “Other examples can also be given. Some people think that animals do not love their offspring as much as human beings. But this is not correct. Animals love their offspring according to their capacity. Even in human beings it is found that love differs according to time, space, and person. A mother loves her son very much, but the intensity of this love diminishes when the son gets married and the mother sees that her daughter-in-law has taken over some of her son’s affection. To compensate, the mother may give more love to her other children who are not married. The psychology behind this is that where selfishness increases, attraction amongst human beings decreases. “We must increase the jurisdiction of this attraction, this love. This love should include all plants, birds, animals etc., because everything has life, everything has feeling. We should think that others feel as I feel, and this feeling should include plants, animals and inanimate objects. This is Neohumanism and Neohumanism is essential for the all-round development of the human mind. “So for the continued welfare of human beings and all of creation, we must adopt such a theory which has flexibility and elasticity. When the elastic band in a piece of clothing is no longer flexible, the clothing is discarded. In the same way, if any theory loses its flexibility, it will not be able to adjust with time, space and person and it will also be discarded. Policies will differ according to changes in time, space and person, but principles will remain the same because they are all pervading and because their cognitive faculty is omniscient. “In this present age of transition, you are seeing many theories change and being discarded before your very eyes. If any group of people clings to the skeletons of the past, they will also be rejected. Intelligent people will not cling to old, outdated ideas. Rather they will wholeheartedly embrace that theory which adjusts with time, space and person and will continue to exist forever. 1. 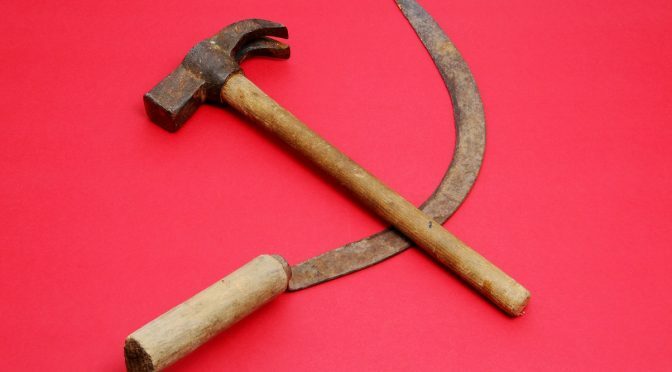 In this article, the term communism means the applied socio-economic system of Marxism. 3. “Economic Exploitation of Bengal,” Prout in a Nutshell Part 19, Ananda Marga Publications. 4. Critique of the Gotha Program (1875). 7. “The Vaeshya Age,” Human Society Part 2, Ananda Marga Publications. 9. “Suppression, Repression and Oppression,” Prout in a Nutshell Part 17, Ananda Marga Publications. 10. “The Specialty of the Fifth Fundamental Principle of Prout,” A Few Problems Solved Part 9, Ananda Marga Publications.